With Mark Kinney, Carol, and Mags. Getting caught up. DriveThruRPG picks. Mark's fun with Netflix picks. Mark reviews Pirate vs Pirate and 10 Days In The Americas. Pookie talks about Aliens. Mags reviews Perfect Horizon for the HDL system. Mark double-shots Mecha and Iron Tyrants. Carol reviews Monsters And Other Childish Things. Pookie discusses Pandemic and Forbidden Island. Mark talks a bit about Monkeys Took My Jetpack (a podcast, not a game). Mags reviews Waxman's Warriors from Hex Games. Mark double-shots Wu-Xing: The Ninja Crusade and Legend of the Five Rings 4th Edition. Mags talks to DNAPhil, John Arcadian, and Patrick Benson from Gnome Stew about Eureka: 501 Adventure Plots to Inspire Game Masters. Mags and Mark (especially Mags) review one of the textbooks of the Mags-The-Axe School of Game Mastering, John Wick's Play Dirty. Catching up on recordings for several episodes of RPG Buffet, including Ravenloft, Dragonlance, and the last game set in Eberron. Following all of this is the overview of the year's gaming. Because Strahd, the iconic villain of the Ravenloft setting, is so heavily influenced by Dracula and other East European terrors--and also because Steve is Hungarian by ethnicity--the Buffet decided to feast on Hungarian food that night! 1. Heat the oil over medium-high flame in a large, heavy-bottomed pot or skillet. Add the chicken pieces a few at a time and brown on all sides. Remove to a platter. 2. Remove any excess oil leaving about 2 tablespoons and add the onions. Sauté the onions until wilted and just beginning to brown. Stir in the paprika and flour and cook for another 1-2 minutes. 3. Whisk in the stock or water, breaking up any lumps. Add the browned chicken pieces and the salt and pepper. Bring to a boil, then reduce heat to low, cover and simmer for 25-30 minutes, or until the chicken is cooked through and tender. 4. Remove the chicken to a platter and skim any excess fat from the sauce. Stir in the sour cream and lemon juice if using. Adjust seasoning and reheat over low flame. Return the chicken to the sauce and serve hot. 1. Preheat oven to 350°F. Place the rice, 2 cups stock or water and a pinch of salt in a medium saucepan. Bring to a boil over medium-high heat, then reduce heat to low, cover tightly and simmer for 15 minutes. Remove from heat and set off to the side, covered. 2. Heat the oil in a sauté pan or skillet over medium flame. Add the paprika and stir to just cook through and color the oil, about 30 seconds. Add the onions and sauté until translucent, about 4 to 5 minutes. Do not brown. 3. Add pork, sausage and the 1 1/2 cups of stock or water. Bring to a boil, reduce heat to low, cover and simmer for about 20 minutes. Add more stock or water if necessary to keep the pan from drying out. Remove from heat and season to taste with salt and pepper. 4. Place 1/3 of the rinsed sauerkraut in the bottom of a large casserole or baking dish. Spread 1/2 of the cooked rice over the sauerkraut. Then spread 1/2 of the meat over the rice. Lay egg slices over the pork and sausages. Repeat these layers a second time, finishing with a layer of sauerkraut. 5. Spread the sour cream over the top of the sauerkraut and lay the bacon strips neatly over the sour cream. Sprinkle the top of the dish with paprika for garnish. 6. Place the casserole in oven and bake for 40 to 50 minutes, or until it is bubbling and browned on top. In Dutch oven or casserole with cover, saute onion in oil till it wilts. Remove and set aside. Pat meat dry and brown it, adding more oil if needed. Set meat aside with the onions. Pour in ½ cup of water and stir up brown bits. Add paprika, marjoram, caraway seeds and 1 teaspoon salt. Add the garlic, then the beef and onions and add enough stock to cover meat by 2 inches. Simmer for an hour, covered, adding more stock as needed to keep meat well covered. Add green pepper and tomatoes and continue simmering. Peel potatoes and cut into ½ - inch dice; keep them in water until ready to use. After meat has been cooking 1 ½ hours, add potatoes, 1 teaspoon salt, and enough water to cover. Simmer another 25 minutes or until potatoes are done. Taste – may need more salt. Stir in noodles. The Buffet decided to cook out one last time, so Brandon fired up his grill, and Mags made pork chops with an easy lemon-herb marinade. This marinade is also great for chicken. From AllRecipes.com. Separate eggs and save whites separately (see below). Beat the egg yolks and sugar together until mixture is a thick, pale yellow, and falls back upon itself, forming a slowly dissolving ribbon. Beat in the orange liqueur. Set mixing bowl over not-quite simmering water and continue beating 3-4 minutes until foamy and too hot to touch. Then put over basin of cold water and beat another 3-4 minutes, until it’s cool and again forms the ribbon. It will have the consistency of mayonnaise. Melt chocolate with coffee over hot water (or carefully in microwave). Remove from heat and beat in the butter a little at a time, beat chocolate into egg yolk to make a smooth cream. Beat egg white and salt until soft peaks form. Add sugar and continue to beat until you get stiff peaks. Stir ¼ of egg mixture into chocolate mixture and fold in the rest. Add milk and waer to flour gradually, beating with whisk constantly so that the batter is very smooth. Add eggs, salt, and oil. Bet until smooth and set aside to rest for an hour or two. Heat a large frying pan or crepe pan and grease very slightly. Pour large spoonful of batter into pan and roll around in the pan to cover the bottom. When brown, turn with large spatula and cook a moment on the other side. Place crepes on a large piece of foil and wrap up to keep warm in oven until ready to serve. They can be frozen. When putting crepes together, put a crepe in the pan, cover with a few tablespoons of filling and cook 2 minutes. Roll up and serve. While chicken, cut up – about three pounds. After an hour, make sure juices are running clear (rather than pink) from the chicken. Cook longer if necessary, then allow chicken to cool in stock. Drain stock and discard everything but the stock and chicken. Cut the chicken meat into small pieces. 8-oz mushrooms, sliced and sauteed in butter. Melt butter in saucepan, and add flour, stirring with whisk. Add stock, stirring until the sauce thickens. Add salt, pepper, nutmeg, cream and egg yolks; heat, stirring, until mixture thickens. Don’t let it boil or it will curdle! Add squeeze of lemon juice, chicken and mushrooms. When hot, place in crepes as described. Feeds about 8. An overview of D&D Fourth Edition, before the specific setting entries come up. October is always chili night, and as always John has refused to share his chili recipe with the audience. Mags brought White Chicken Chili, and presents the recipe from CDKitchen.com. Preheat large soup pot with vegetable oil over medium high heat. Add ground chicken when hot. Meanwhile, dice onion and garlic. Remove seeds from Serrano chili and finely mince. Break chicken up with a wooden spoon every couple of minutes. After chicken has been cooking for about 5 minutes, add onion and continue to cook breaking up chicken and stirring every couple of minutes. Remove husks from tomatillos and rinse to remove sticky coating. When chicken has been cooking with the onions for about 3 minutes, add garlic, Serrano, cumin, coriander, and salt. Continue cooking for another 2 minutes. Roughly chop tomatillos, or cut into quarters if the tomatillos are small. Add tomatillos to meat. Place a lid on the pot and cook for about 10 minutes, stirring occasionally. Crain and rinse white beans. Drain chilies and finely chop. Chop cilantro. After tomatillos have been cooking for 10 minutes, add beans and green chilies along with chicken stock. Cover with lid and bring to a boil. Remove lid and continue cooking, stirring occasionally, for another 8 minutes until chili has thickened and liquid has reduced slightly. Remove from heat and stir in cilantro if serving immediately. If not serving immediately, save cilantro and serve as a garnish on each bowl. Taste for seasoning and adjust with more salt if necessary. Top with optional pumpkin seeds, sour cream, or cheese and serve. With Mark and Mags. Carol had more chaos. Everyone's chaos and Mark's creative phase (and he did finish NaNoWriMo). DriveThruRPG Picks. Mark's dating woes, and how they relate to tonight's topic. Social Contracts! What are they and what form do they take? Out of the game itself. Shifting to in game concerns. House rules or no, and GM leeway. Large groups and LARP. Changes to your group. Watch out for gaming the system. Big things you need to cover. Mark's earliest RPG writing credit is now back up on e23. ExtraordinAgents is out, and maybe Mark will run it at ConGlomeration (which is also putting it's scheduling online). With Mark and Mags. New online D&D Character Builder announced. The Forge going into "Winter." Palladium and Trion settle. DriveThruRPG raises $65,000 for Pakistan flood relief. Heroscape is going away! Playing Cards and the Game of Life in the Toy Hall of Fame! Mikki Nicholson wins UK Scrabble championship! Nigerian governor Akpabio defeats world Scrabble champion! Battle Cry returning! Champions Online going Free-To-Play! Wild World Wrestling! Could Hasbro Game Movies cost a Studio Exec his job? Game companies helping an alternative high school teacher. We now have promos for the local science-fiction et cetera convention, ConGlomeration! We hope to see some of our listeners there, and for the podcasters in our audience, we hope you'll make use of one of these promos! With Mags and Carol. Mark is out due to an unavoidable scheduling thing. GAMA has a new retailer division chair, and Wizards of the Coast has a new Marketing VP. WizKids relaunching Mage Knight! Exodus coming soon for Battlestar Galactica (with an aside about Caprica). Mirrodin Besieged coming in February. Louis runs Crafty Games' FantasyCraft for the Buffet, with additional input from Mags, Steve, and John. With Mark Kinney, Carol, and Mags. Lots of reading to do! FantasyCraft in second printing! A nod to Brian Wood. Convention talk! Our first round of DriveThruRPG Picks Of The Fortnight! Getting into villains! Individual and group and places ("Some houses are just born bad"). Villains from the early days of D&D! Bargle Must Die! Paradise Lost. Redemption of villains. Keeping a good villain around. Media recommendations, from Infernal Affairs to the Thunderbolts! Recorded September 7th, 2010, with Mark, carol, and Mags. Forum issues. Upgrading our LibSyn (and maybe getting an iPhone app)? Virtual tabletops and Scenegrinder. Patches from the Quilt City OGRES (including one contributing to the Gygax Memorial Fund). Questions from the UK. Robert Dean returns to answer our questions. Was the Big Hairy DM captured by Martians? (Just a bit of fun, sorry, please call back!) Spoiler alert? Artworld's page didn't seem to be working when I checked. With Mark Kinney, Carol, and Mags. A word about what we're doing with this new DriveThruRPG affiliation and participation in their Podcast/Blog program. Carol talked to Eddy Webb, Ethan Skemp and Richard Thomas about White Wolf. The White Wolf release schedule is out through July of 2011. Serialized novels and expansion into even more electronic formats are forthcoming. Just what does their new business model mean for what is and can be published? What is the Grand Masquerade all about? Oh, and a little info about this little computer project... Then, Carol and Mark talk to Sean Patrick Fannon and Carinn Seabolt about DriveThruRPG, the Haiti bundle, writing, Shaintar news, Con on the Cob, electronic books, internet play, GenCon highlights, unofficial observations, and retrogaming. Recorded August 24th, 2010, with Mark, carol, and Mags. Mental images, lack of pics, and Mage. Technolich. "That's Not Canon!" More Gamma World coverage? Save or Die! A gift from the Computer King! Villains and hawtness. Gamer obsession. Hog calling, cheese rolling and... something. A little bit at the end. 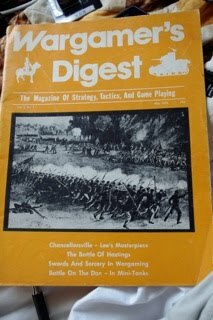 Mark introduces a raft of interviews Mags did at GenCon. In order: Elizabeth Shoemaker-Sampat (Blowback), David Hill (Maschine Zeit) and Filamena Young (An Open Letter to the Gaming Industry), Chris Engle (Hamster Press), Graham Walmsley (Play Unsafe), and Thomas Grable (Gaming Paper). With Mark, Carol, Mags, and Steve. Board Game Geek wins the Diana Jones Award! 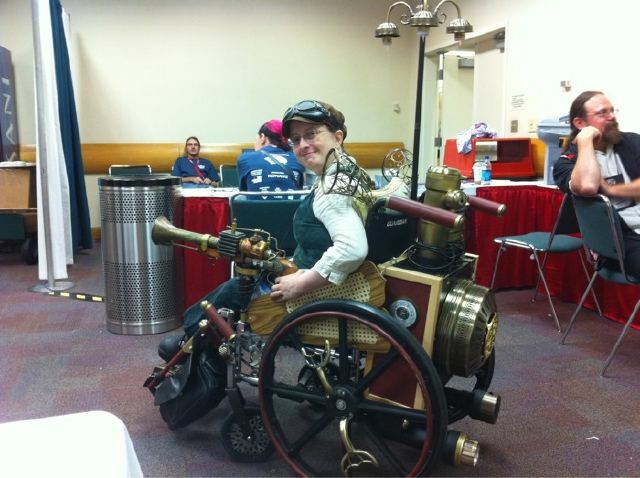 ENnie results, and the side bet with the Gamer's Haven! Maria wins Portuguese Game of the Year! Bits and Mortar -- PDF support for brick and mortar stores! The 2010 Mind Sports Olympiad. Super Genius taking over Dungeon-a-Day! More Red Dragon Inn. Heavy Gear back to Dream Pod 9! Blood Bowl: Team Manager, and Lord of the Rings! Zombie Dice on the iPhone (and why the delay for Android). Dicebook -- an iPad PDF reader with a dice roller! What we did and didn't observe or otherwise find out at GenCon! Mags speculates on the abortive Mongoose announcement. Money raised for the Gygax Memorial Fund and the Pajama Program! With Mark Kinney, Carol, and Mags. Welcoming Carol back. GenCon plans. Robert Dean's missives on historical miniatures gaming. 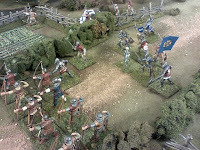 His bona fides, and an overview of historical miniatures. 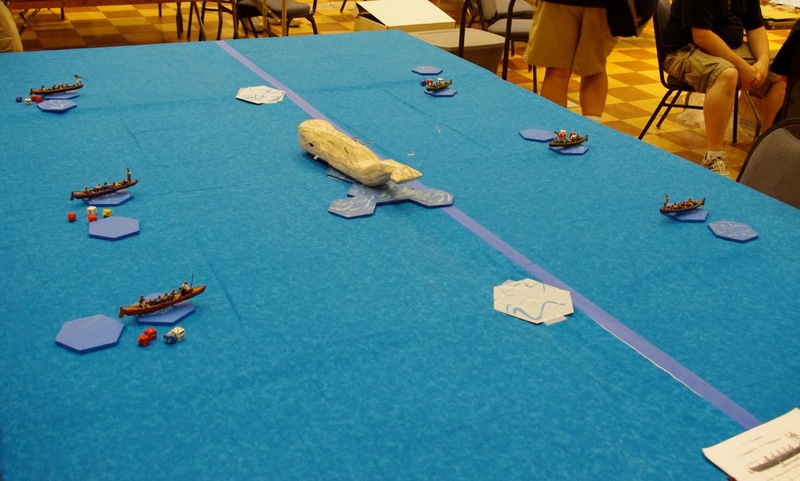 HistoriCon report. Pookie makes his AGC debut with a review of Who Would Win! Surviving GenCon! Tips, tricks, and resources! Photos by Robert Dean. This Just In... From GenCon! With Ben Balestra. Ben comments on the Outlaw Press and Palladium/Trion situations. With Mark Kinney and Mags. Carol is still not present due to being married and stuff. Mark's piratical near-disaster. Yard sales and renfaires (and Mark's shocking musical tastes). Upending normal play dynamics. The cooperative boardgame. Mark fumbles the name of Shadows Over Camelot. Mark takes a look at Conflict Roleplaying. Stealing the "Danger Room" concept. Moving to interplayer conflict in RPGs with All Flesh Must Be Eaten. Cold City, The Mountain Witch, and Trust mechanics. Setting expectations for in-character tension. Houses of the Blooded and the "Friendly Game." Paranoia! Shab-Al-Hiri Roach. ENnie nominated again! Recorded July 13th, 2010, with Mark and Mags. Carol is still absent. Going back to some RPG Buffet cooking tips, Dresden, Ragnarok, and e-readers! Aluminium? Wushu Open for Swashbuckling? The badness of pirates, and reversals on the Empire. Racism (and notable lack thereof) in the pulps, and otherwise. PulpFest! More (Hollywood) Arabian options for swashbuckling! More QAGS supers (and other) discussion. Matt from Asshat Paladins gives us a list of more Swashbuckling games. With Mark and Mags. Amtgard mixup at the Toronto G20 Summit. Rich Baker to appear on Jeopardy! The ENnie Award nominations! Mark and Mags' ENnies Predictions (and in some cases, how their intended votes differ from their predictions). With Mark Kinney, Eric Franklin, Mark from South Dakota, and Ben Balestra. Eric and the Marks talk about their respective devices (in particular, the Kindle 2, Kindle DX, and the iPad). Ben Balestra talks about the technologies involved. Back to the others with a discussion of how gaming PDFs behave on the various devices. Goodreader. A few rendering woes. How do they do at the table? Portability and priorities. Mark K's durability worries. From PDF to actual eBook formats. Where to from here? The future of PDF? 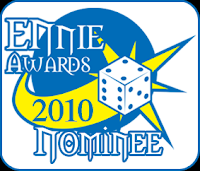 All Games Considered Nominated for 2010 Best Podcast ENnie! We here at AGC are proud to announce we are once again nominated for the prestigious ENnie Award for Best Podcast this year! Sadly, not all of us will be there for the presentation, but we look forward to it once again this year (and Mark might actually be prepared to make a speech if he needs to...). And a hearty congratulations to the Honorable Mention as well, our friends over at the Gamer's Haven Podcast! Congratulations everyone, and I particularly hope to see everyone at GenCon this year! With Mark Kinney and Mags. Carol is not present due to being married and stuff. Mark's going to a pirate party on the roof of a local museum (as well as evidently being newly single or something). Mulling on using the Power Of The Show for personal gain. Mark then grouses about the US' World Cup loss (trust us, we get to gaming soon...). The return of the forums (thanks to the Gamer's Haven Podcast)! Thanks for donations! Outlaw Press off Amazon. Convention talk (including the return next year of our local con)! Swashbuckling! What is swashbuckling? Swashbuckling vs "cinematic." Mechanics versus tropes. Crossing genres. Recorded June 29th, 2010, with Mark and Mags. You all missed Mags' yard sale. The original D&D sets. Less-than-super supers. Reminders of Champions: New Millenium, and an aside about Qerth. Another customizable GM screen. HistoriCon! Response on Lords of Gossamer and Shadow. Hellas made goal as well! Gaming fiction recommendations. A reminder about the reviews! With Mark and Mags. Outlaw Press off Amazon. Catalyst gets an extension. Sandstorm Productions rises. Origins 2010 winners (and our mostly missed calls). A little discussion of the Origins Awards process. Dixit takes Spiel de Jahres! DOJ Inc. acqures majority holding in Indie Press Revolution! The return of Villains and Vigilantes! Silver Line Edition of Lord of the Rings? A new release of Ticket To Ride: Nordic Countries! Judge Dredd Minis Game playtest (and a free Traveller campaign)! Pete's Box -- A gaming end table? Tons of board game adaptations coming to the iPhone/iPad! Trask's GenCon Dealer's Directory. Z-Man Games celebrating ten years! We have new forums! With Mark Kinney, Carol, Mags, and P.G. Holyfield. How last episode happened. Thunder to stop the rambling. Murder at Avedon Hill. The ongoing Outlaw Press situation. A talk with P.G. Holyfield about his novel, Murder at Avedon Hill, its gaming roots, and a little about gaming fiction. Gaming fiction: threat or menace? Well, no, there are highlights, but plenty of pitfalls as well. What's good, or should be? Fiction about gaming. Recorded June 15th, 2010, with Mark, Carol, and Mags. The Quilt City OGREs chime in about QAGS Super Zeroes. A letter from Ireland. The forum question. Fringeworthy notes. Randomness in gaming. More Doctor Who talk. Talismania Revised! Masterplan! The usefulness of the Dresden Files RPG to model other urban fantasy settings. Dungeons and Dragons versions. Microlite20. Modular game screens and one-sheet notes. With Mark, Carol, and Mags. Palladium's lawsuit against Trion Worlds over Rift: Planes of Telara (and ongoing progress). Catalyst and Topps signing a new licensing deal any time now. D&D Encounters makes CNN coverage. WizKids and CBS bringing us TrekClix? Spiel de Jahres nominees. 2010 UK Games Expo recognition. An aside about the World Cup (and the vuvuzela). Dresden Files RPG release date moving forward? 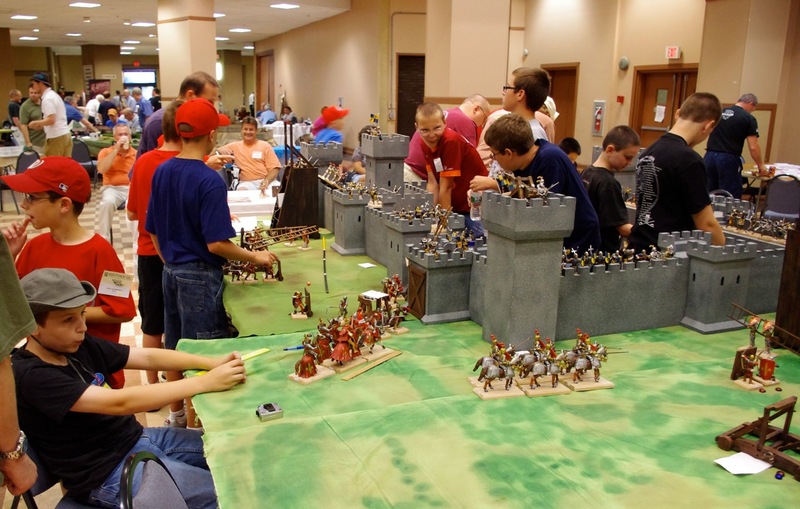 Mayfair Games seeking GenCon volunteers. Happy Birthday Robot! A reminder of the Hellas: Princes of the Universe Kickstart. Days of Wonder wants to give away an iPad to the winner of their 20 millionth online game. Catan app beta opening. Carcassonne makes it to the iPod Touch. Michael Tresca's The Evolution of Fantasy Role-Playing Games up for pre-order. Monsterpocalypse moving to the big screen?